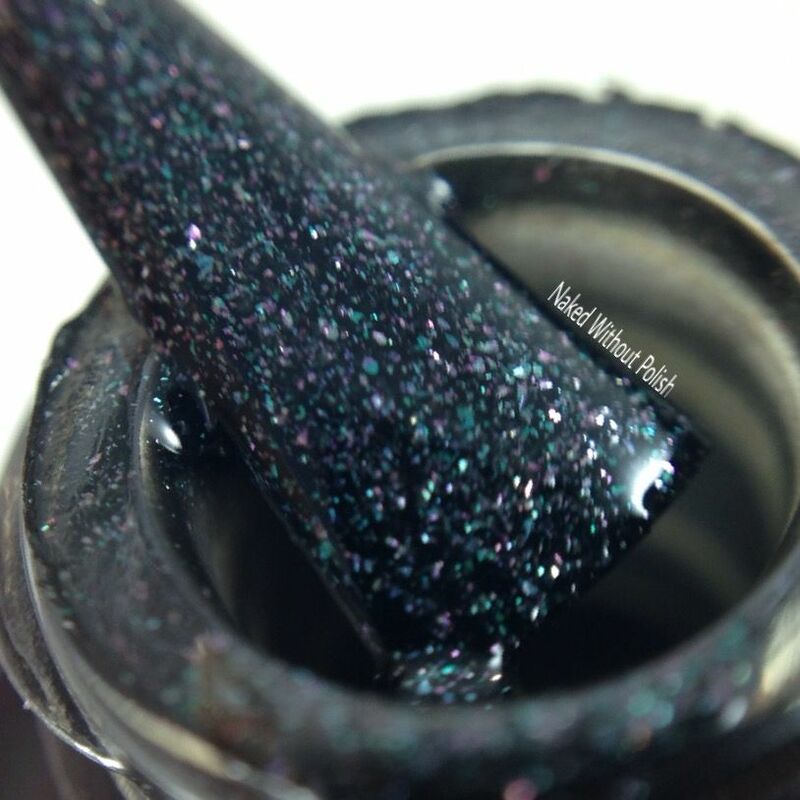 Haughty Taughty is a dark, charcoal grey polish with teal and purple micro flakes that dries to a matte finish. 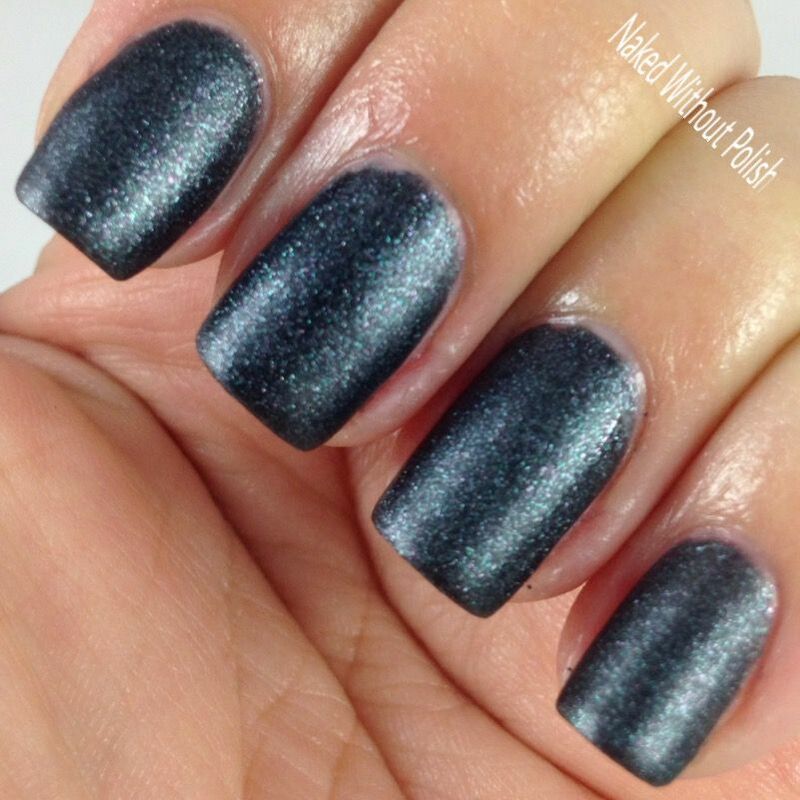 Shown is two coats of Haughty Taughty without top coat. 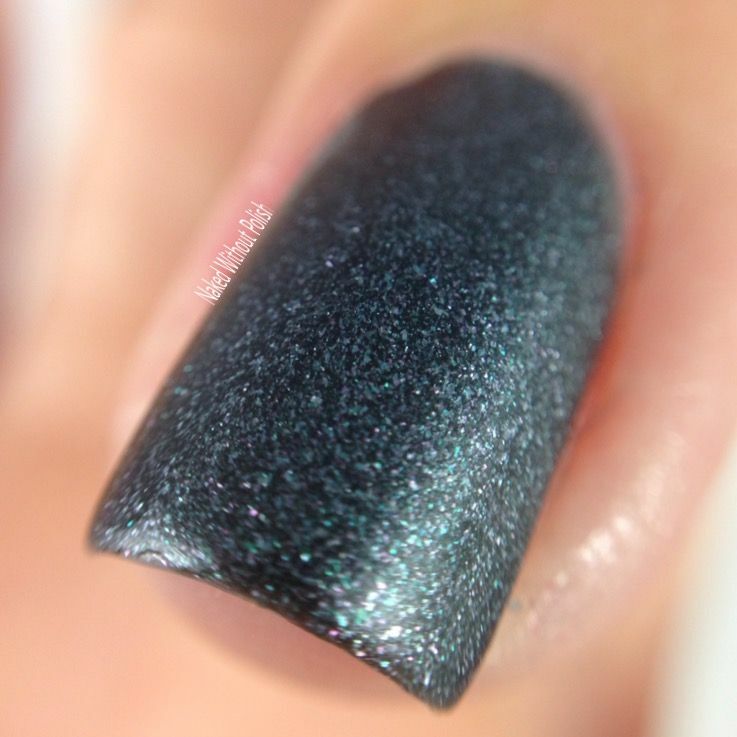 Haughty Taughty had an incredible formula and application. The brush was wonderful and easy to work with. The color is smokey and almost haunting. I adore everything about this beauty. 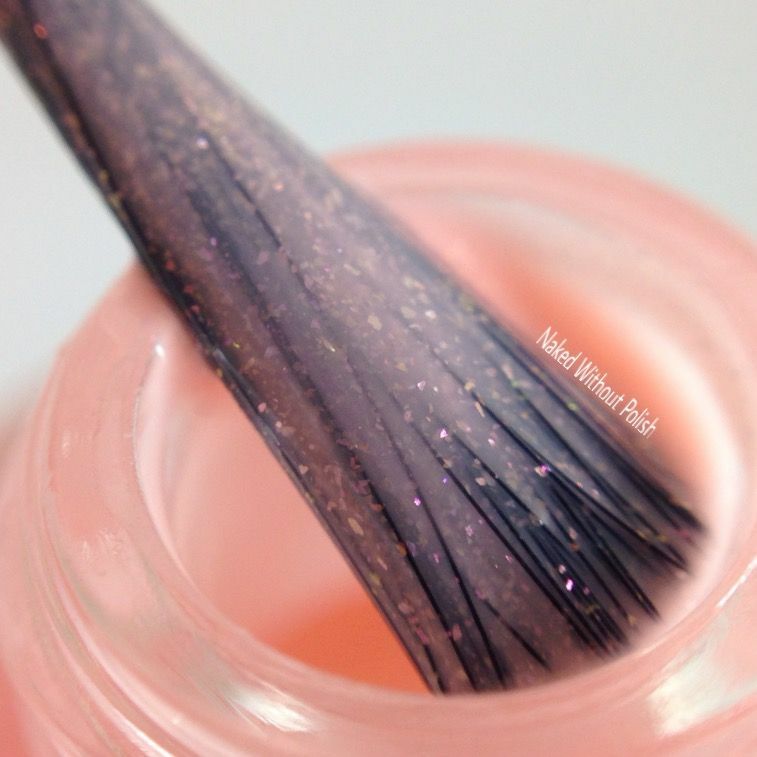 Summer Sorbet is a muted pastel, neon, peach-toned, coral with iridescent pink and gold micro flecks. 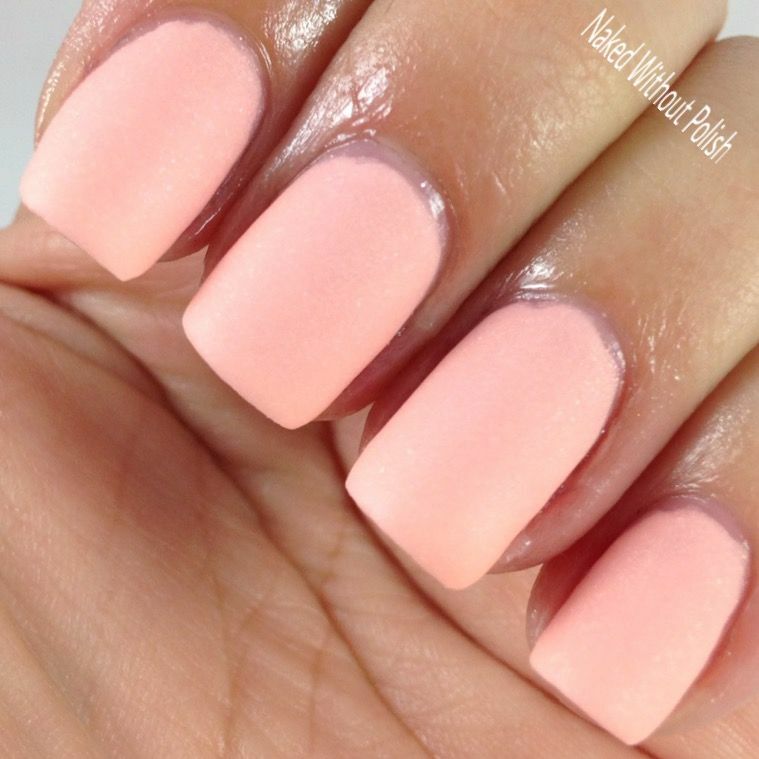 Shown is four coats of Summer Sorbet without top coat. Summer Sorbet was the one I was most excited about. I mean, just look at that color in the bottle! The formula was thin and flooded like crazy. The brush was thin and difficult to work with. Despite all the difficulty, the end result was spectacularly beautiful! Both of these beauties are no longer available, but her shop is full of so many other beauties that are looking for good homes. A friend recently got me Whiskey for my birthday, but I haven't had the chance to try it yet. I can't wait to though. Definitely a brand I will try again, and I look forward to see what the future holds for Love, Angeline. Make sure you follow her on all of her social media platforms. 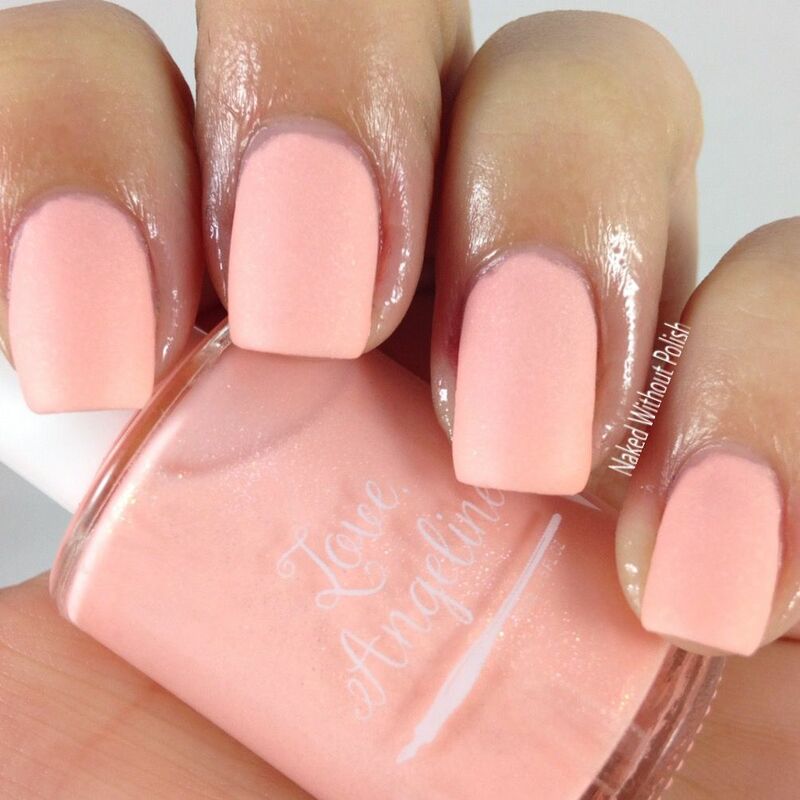 Do you have a favorite polish from Love, Angeline?